Two places in the U.S. that I would have liked to write more about are Texas and Alaska. Texas is to the U.S. what Bavaria is to Germany – a place with a strong economy that values its heritage, votes conservative and is stubbornly independent-minded. Stetson hats and cowboy boots are for the Texans what Lederhosen and Dirndl are for the Bavarians. And just as the Bayernpartei advocates for Bavaria’s independence, 70,000 Texans just recently signed another petition to allow their state to secede from the U.S. 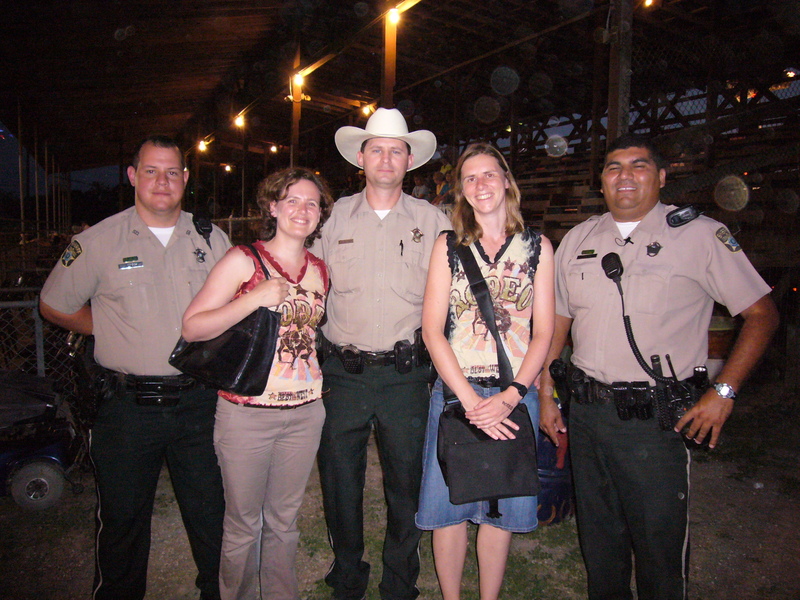 I first visited Texas on a road trip with my friend Flora Wisdorff in the fall of 2007. We ate barbecue, visited a country dance hall and watched a rodeo – in other words, we had a lot of fun. Our first stop was San Antonio where about 100 Texans defended the Alamo mission against the Mexican troops for 13 days in 1836. The problem with the story is that they were all killed in the end. But patriotic tales like these feed the Texans’ pride in their large and populous state. “Size matters”, is a slogan you can see printed on t-shirts in the Lone Star State. There is only one place brave enough to take on Texas. A year later, I stood in a souvenir shop in Anchorage and saw shirts with the contours of Texas on it, encircled by much bigger map of Alaska. “Size really does matter”, this shirt said. Up North, people love their independence and their guns as much as any Texan cowboy. Alaska became the 49th State in 1959, and when Alaskans talk about the rest of the country, they say “the lower 48”. This trip on the expense account of FT Deutschland would not have been possible without Sarah Palin. 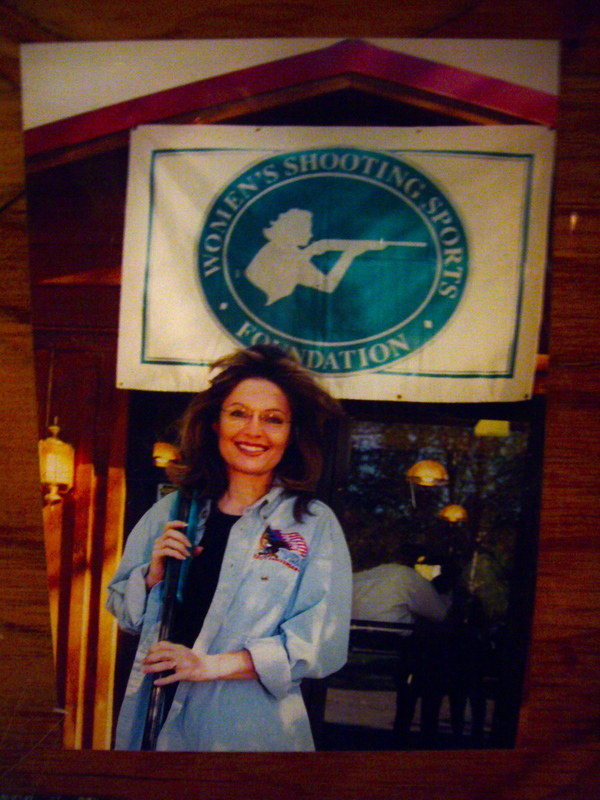 After John McCain’s vice presidential candidate had introduced herself to the Republican Convention as a “pitbull with lipstick”, the world wanted to know more about this brazen woman – a mother of five, an avid hunter and the Governor of Alaska. In September, my colleague Olivia Schoeller and I embarked on a trip to write about the hockey moms in Palin’s hometown Wasilla. We also planned interviews on energy issues. The oil price had surged to a record high in August and Republicans called for building a new pipeline from Alaska as well as opening up the Arctic National Wildlife Refuge in Alaska’s North for drilling. We arrived after a 15 hour long trip on September 15th – and when we turned on our Blackberries we could not believe our eyes: Thousands of miles away in New York, the investment bank Lehman Brothers had filed for bankruptcy and triggered what turned out to be the biggest global financial crisis after the Great Depression. From the Puffin Inn in Anchorage, nine hours behind German time, there was not much we could do. The next day, while our colleagues covered the Lehman crisis, we drove to Wasilla where we visited Palin’s shooting range, interviewed her high school friend and chatted with hockey moms at the ice rink. All of this went into my only big Alaska article that was ever printed – on the day before Palin’s debate against Joe Biden. 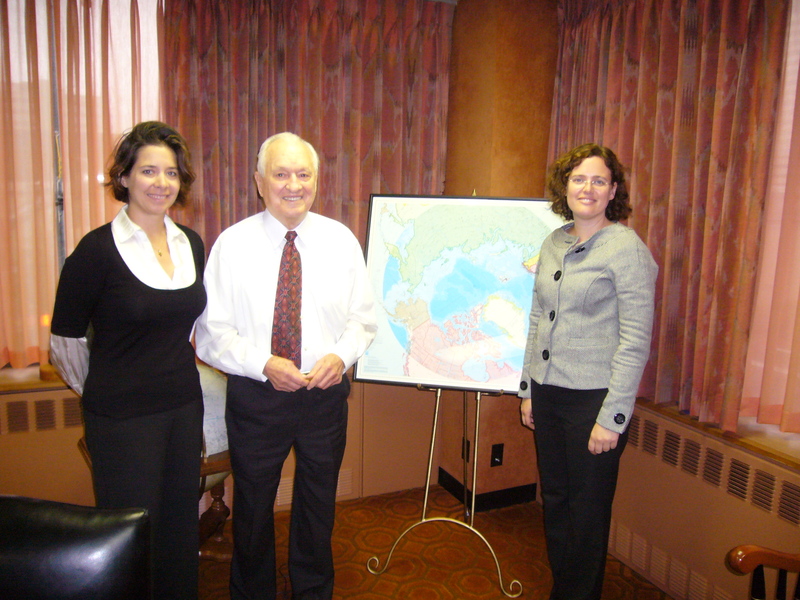 In Anchorage, the former Governor of Alaska, Wally Hickel, told us about his grandiose plans to export Alaskan gas to Asia and to dig a tunnel to Russia underneath the Bering Strait. 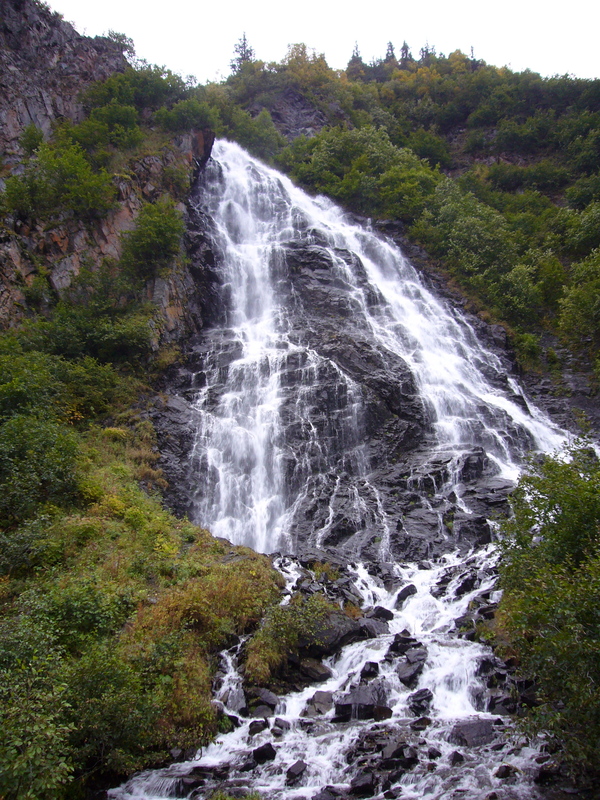 Environmentalists pointed out the dangers of drilling in Alaska’s North. We also planned to go to Barrow, the northernmost settlement on the American continent, and I had made arrangements to interview the mayor of the Inuit whaling village 300 miles north of the Arctic Circle. But the flight up there would have cost another 1,000 dollars, and this is where my editors drew the line. We flew to Valdez instead, the place where the Alaska pipeline ended and where the Exxon Valdez oil spill happened 1989. Again, not all went according to plan. We had been promised that we could visit the pipeline terminal, but our permission was revoked because we were foreigners. All we could do was track the pipeline on the ground, so we drove around the area and admired the breathtaking wilderness. In the evening we went to the only restaurant in Valdez where Pepe, a Spanish chef, was an expert at preparing the wonderful Alaska salmon and king crab legs. We had dinner with a politician who chatted with us about Palin over a few glasses of wine. After another glass he leaned across the table and asked if anyone had ever told me that my eyes looked like Nicole Kidman’s. One more glass, and he offered to fly us over the pipeline terminal in a helicopter. We politely declined. Never mind the pipeline anyway. In the wake of the Lehman collapse, the oil price had tanked as well, and my editors were no longer interested in the proposed energy story from Alaska. I had to wait until the BP oil spill in the Gulf of Mexico in 2010 before my knowledge about Valdez finally found its way into an article in FTD. Sarah Palin found her way into many other articles, even after McCain lost the election. She wrote a book, she filmed a reality show about Alaska, and she considered running for President. But gradually she faded from public interest, and so did her state. Texas at least has had two Presidents, but after George W. Bush, Americans seem to have little appetite for another one. In the end, I am not so sure how much size really matters. This entry was posted in The Five U.S.Years and tagged Alamo, Alaska, FT Deutschland, Sabine Muscat, Sarah Palin, Size matters, Texas, Valdez, Wasilla. Bookmark the permalink.